Hey Krazies! Thought I ran away didn'tcha? Happy Happy Summer my crafty friends! As you know, we were blessed with our very first grandbaby in March and after 7 weeks in Pediatric Intensive Care she was able to come home. She is now a chubby happy baby and 4.5 months old! SO excited. 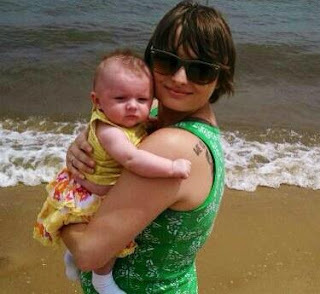 Krystina took her to the beach last week to help celebrate her Mom Mom Deb's birthday and the baby LOVED it. 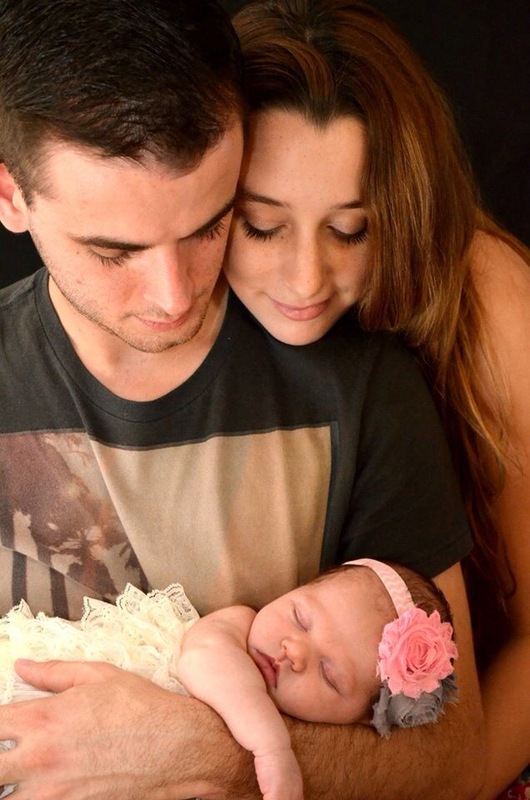 On July 3, my youngest daughter and her fiance welcomed Julianna Marie into the world. She was a whopping 8.2oz and Amanda is doing beautifully with being a new mom. Of course it helps that Brandon is a great daddy. They are getting married in September so as you can imagine, our hands are full. My new thing is cooking. I have been doing A LOT of it. I used to love it but since moving in to help my mom, I just can't get into it with her kitchenware. So a few weeks ago Mr. Kricut went to storage and rooted around until he found my favorite kitchen items, my pampered chef and a lot of other kitchen goodies. Now he's a happy man as I've been cooking every day (and saving a ton from take out!) My crafty sistah Christie Anderson suggests I add a cooking tab to my Kricut blog LOL. I've also made a few things in the craft room. I've done the Photo Canvas which turned out beautifully, a few hand stamped colored cards and collecting toilet paper rolls for a project I'm thinking of doing. I hope to be doing some crafty blog posts for you this week as I'm starting to get my craft mojo back. My new love is bottle cap stuff LOL.. So if anyone is still out there and checking this blog that you thought was abandoned - I"m back! I hope you missed me as much as I missed you guys! I have missed you tons and tons! Have been hoping everything was ok and so glad you made this post! It is amazing how life can get in the way...hugs!